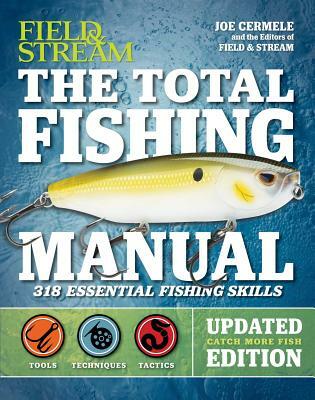 Updated and expanded for 2017, with new expert information on everything the modern fisherman needs to know--from picking the right gear and kitting out your boat, to the best techniques and tactics for seeking, locating, and snaring your catch. Gear Up Find the best of what's out there, and what isn't worth the money. Including lures, baits, flies and tackle for any situation in any style of water. Hook a Prize The experts at Field and Stream and professional fishing guides around the country lay out the do's and don't's, where those sneaky fish are hiding, and how to put yourself in best position for the catch and much more. Whether Bobber fishing with newbies or looking to reel in a prize white marlin in the open ocean these are the tricks, tips and techniques to get the job done. Joe Cermele is Field & Stream's Fishing Editor and the author of many of the magazine's most popular features on various fishing topics, including his weekly fishing blog, and the "Hook Shots" campaign. From lures to surfcasting to fishing in the dark, his is an expert on all things fishing.